We’ve all owned several pairs of jeans. We’ve all been too lazy to wash them when necessary. If you’re a clumsy person who often ends up staining his or her jeans, then here are fantastic tips to remove stains from jeans with little to no effort. It can easily soak up the grease left behind from your French fries, or the oil you spilt on your clothes while cooking. Simply take a teaspoon of powder, and sprinkle it all over your stain. Add more if the stain is visible. And now that the stain is sitting under a mountain of talc, set it aside. After 15 minutes or so, brush away the talc. You will find a white crust formed on your stain, which you can easily remove with your finger nails, car keys or even loose change lying in your purse. If you feel some oil is left behind, add more powder and repeat the steps mentioned above. Then rinse your jeans like you normally would. 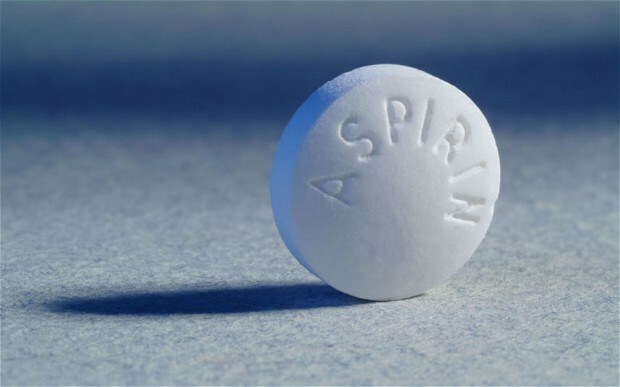 If you don’t have white vinegar in your kitchen, then ground up aspirin tablets will work just as fine for you. They may not work on all stains that can be removed by white vinegar, but hey, something is better than nothing. Use the ground up tablets and add enough water to it to make a thick paste. Apply it to the stained area, leave alone for an hour and then wash your clothes like you normally would. If you’ve got rust or blood stains on your fav pair of jeans, don’t worry! Simply by adding a can of coke to your normal amount of detergent to your washing machine, dump your jeans in it and let the machine do its magic. 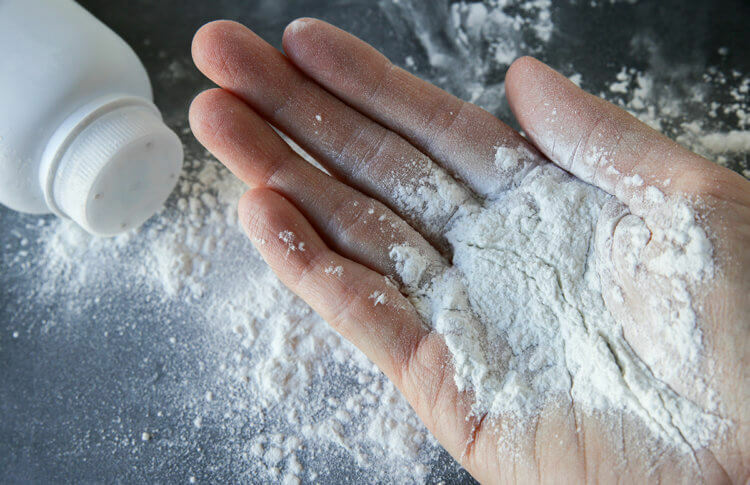 However, in order to get better results, use at least 1 other method mentioned here (except the talcum powder method). If you have fresh ink stains on your jeans, don’t worry. 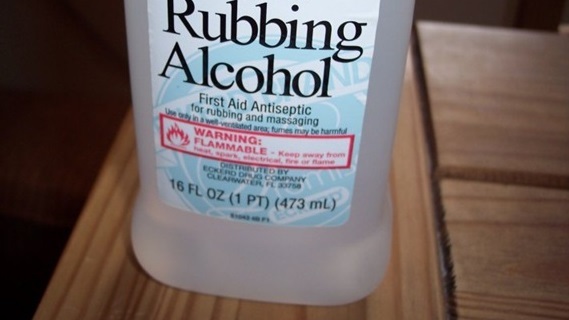 Rubbing alcohol will come to your rescue! Just take a clean cotton ball, dip it in alcohol and start dabbing it lightly on the ink stain. The stain will start to thin and once your cotton ball has absorbed enough amount of ink, switch to a new cotton ball. When you’re done, add a half teaspoon of liquid laundry detergent (mild) to the area, dab and let it sit aside for 10-15 minutes. Then wash as usual. Pour enzyme presoak or detergent into ice cold water, mix in a mug and put the stained portion of your jeans into the water. Let it sit there for 3-4 hours at least. Then wash in warm water. If the stain isn’t completely removed, wash it once more. If it still remains, add a little fabric safe bleach to your washing cycle. The same steps can be used for coffee stains (except, there's no need for an enzyme presoak). As for washing, simply wash your jeans on your machine’s hottest setting. 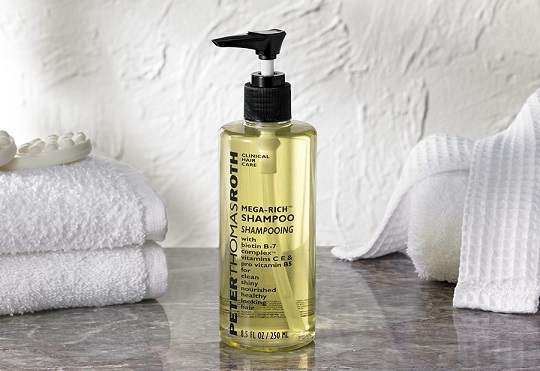 Keep in mind this won’t usually work with shampoos meant for damaged hair or mild shampoos in general. If you accidentally stained your jeans with a makeup item, all you have to do is lather some shampoo on said stain. This works perfectly with oil based makeup items like foundations or concealers, as shampoo is able to cut through those oils and break those stains apart. For stubborn stains, opt for shaving cream or dish detergent to cut through the oils of the makeup. Let it sit for 10-15 minutes on the stain, rub it in with a little toothbrush for added measure, and then wash your jeans normally. How to Tell If I'm Depressed or Just Lazy? What Happens If You Don't Wash Hands After Toilet Use?